a new bohemia: pear croque monsieur. These are yummy. Really yummy. And, they make for an equally perfect after school snack, fast dinner, creative breakfast or an 'my husband is out of town, it's 11 o'clock at night and how on earth have I not eaten dinner yet?!' meal. Plus, my one picky eater devours (yes, devours) them. Fresh baguette, full of melting strings of cheese and a soft slice of pear, dipped in an egg batter and cooked just until golden and slightly crisp on the edges. And, then... topped off with pear butter?! Yes, please. 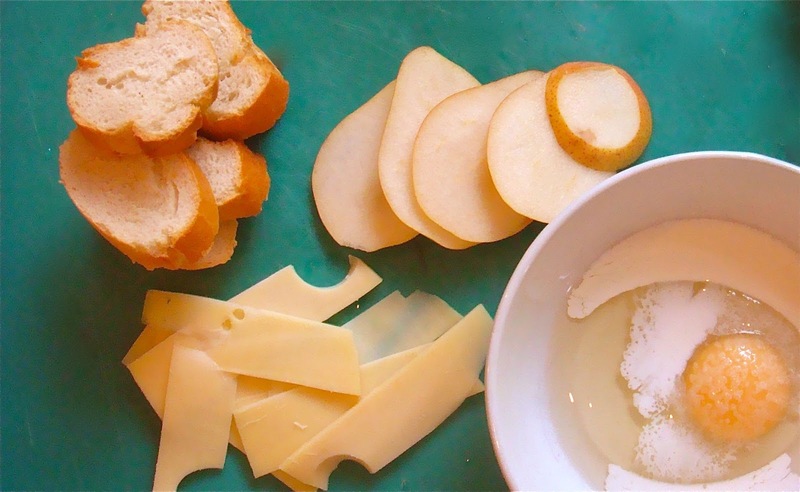 Assemble sandwiches by layering a slice of baguette, a piece of cheese, a slice of pear, another slice of cheese and close with a piece of baguette. Assemble all and set aside on a tray. In a shallow bowl, beat the eggs with the cream and a pinch of salt. Melt some butter, in a shallow frying pan, over medium heat. Working in small batches, dip the sandwiches on both sides into the egg mixture. Fill the pan with a single layer of dipped sandwiches and cook just until golden before flipping and repeating on the other side. 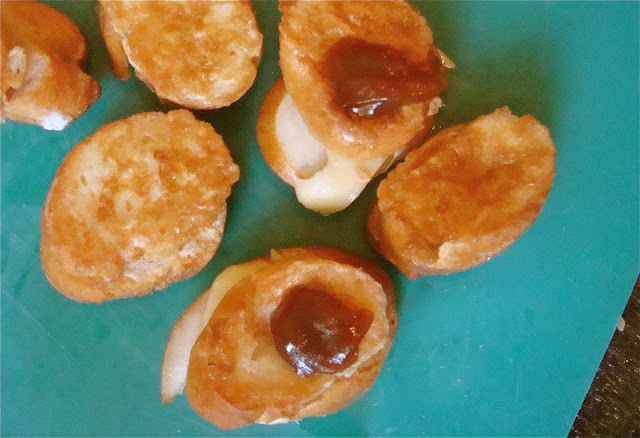 Once golden on both sides, serve immediately, topped with a dollop of pear butter. *This is also great with apple slices and apple butter. Categorized: feast: main., feast: snack. Thank you!!! And the apple version is DELICIOUS too!!! This looks so wonderful. I can't wait to try it!